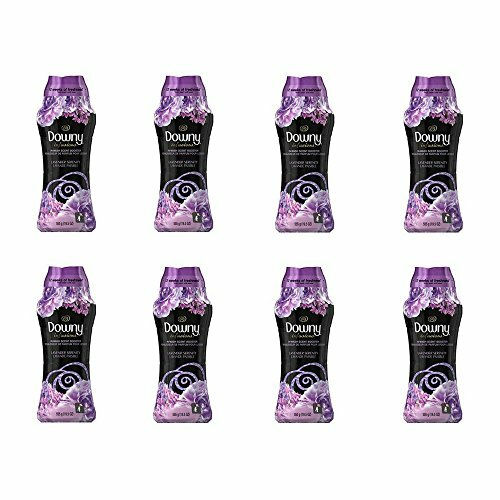 Downy Infusions Lavender Serenity In-Wash Scent Booster infuses fabrics with the soothing scent of lavender and vanilla. To use, simply shake the scent beads into the washer drum before adding clothes. Use as many scent beads as you want-you control the amount of scent. During the wash, perfume capsules are infused into your fabrics with touch-activated scent technology. That means you can release the comforting scent of Lavender Serenity whenever you want, simply by touching or rubbing fabrics. Use Downy Infusions scent beads in addition to laundry detergent, and pair with matching Lavender Serenity Fabric Conditioner and Dryer Sheets for more of the scent you love.